untitled.charcoal, conte.11x17.Julie Perez, age 11, originally uploaded by ayudacommunitycenter. Just for fun; I love this drawing by Julie that she did last fall. 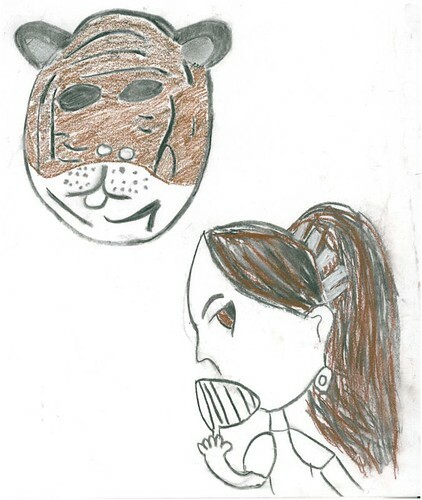 It's a tiger mask and a portrait of her teacher and my friend, Claudie. Julie said she has trouble with lips so she gave Claudie a fan to hold.